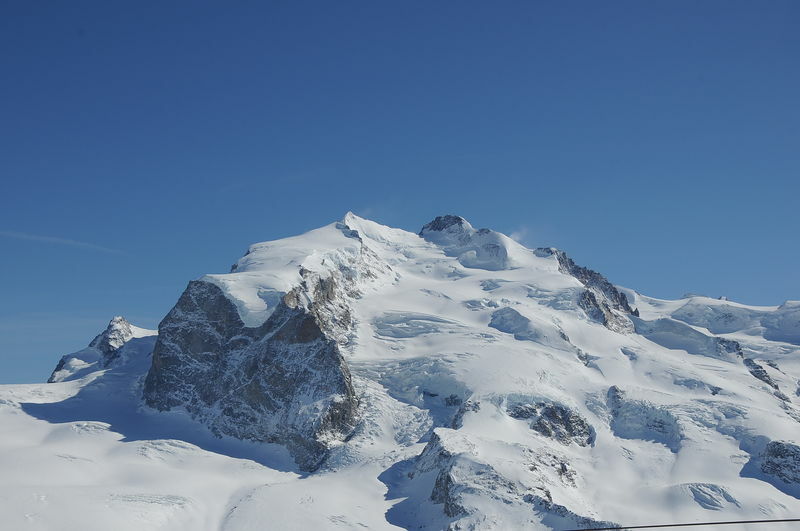 The Monte Rosa has ten peaks higher than 4,000 m: Dunantspitze (Ostspitze), Dufourspitze, Grenzgipfel, Ludwigshöhe, Nordend, Parrotspitze, Schwarzhorn, Signalkuppe, Vincent Pyramid, Zumsteinspitze. 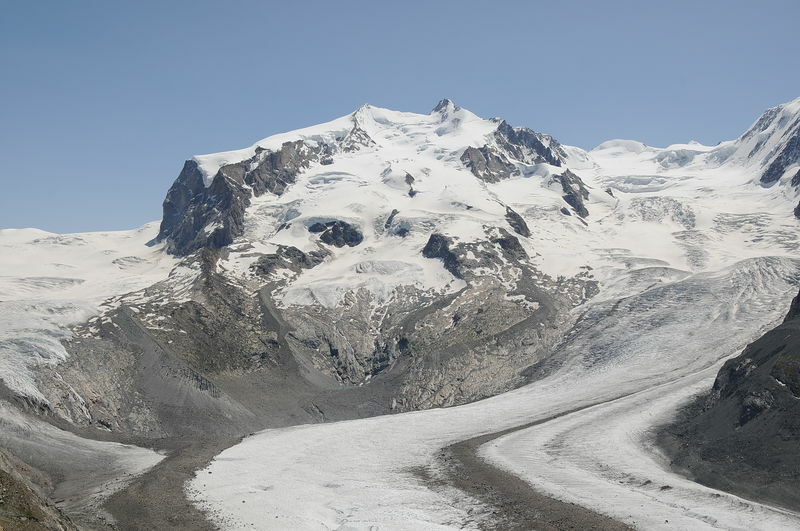 Until the 1940s, the peak was also commonly called the Gornerhorn or Höchste Spitze. Once again, it was the Austrian general and topographer Ludwig von Welden who named the summit. 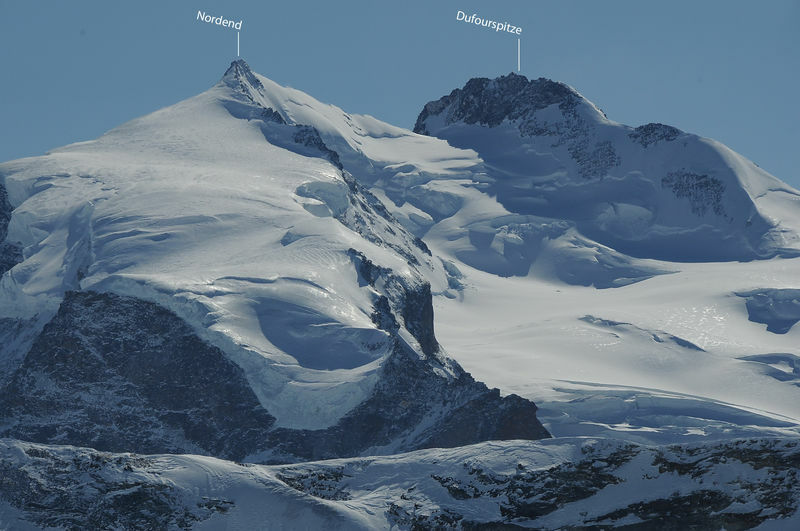 Thanks to the accomplishments of General Dufour in the field of cartography, the Federal Council decided in 1863, on the request of leading mountaineers and members of the SAC (Swiss Alpine Club), to rename the mountain Dufourspitze. One of the great achievements, but by no means the only one, of General Guillaume-Henri Dufour was his Dufour map. Made between 1845 and 1865, it won worldwide recognition and the highest honours at the Paris world fair in 1855. Dufour achieved eminence during the Sonderbund civil war of 1847 – the last war fought on Swiss soil, which lasted only 27 days – by his adherence to humanitarian principles in the conduct of warfare. Dufour was a co-founder of the International Committee of the Red Cross.